Chicago is a wonderful place to live, work, and play. But like all major cities, there is ample opportunity for accidents to occur. This is especially true with vehicles and pedestrian traffic. According to the Illinois Department of Transportation, in 2011 there were over 700 vehicle incidents in the state every day. If you happen to find yourself in a situation where you’ve been hit by a car in Chicago, here are 7 steps you should take. While this may be easier said than done, it is important that you do your best to remain calm. This will allow you to quickly assess the extent of any injuries you may have suffered. This will also allow you to be able to deal with the driver of the vehicle that hit you and any witnesses that are in the area. Take a few moments to gather your senses, assess your health situation and take in your surroundings. In the case of a hit and run, try to take a picture of the license plate as they drive away. It is vitally important that you get the authorities involved and calling 911 is the fastest way to accomplish this. This way you can get police and medical assistance dispatched to you with just one phone call. Make sure that you and the driver wait for the police to arrive. The police accident report will be an important document to have. Once the police arrive, you are the only person that is solely looking out for your own interests. That’s why it is important to make sure that your voice is heard. Both you and the driver have different sides of the story and it’s important to get as much detail as possible on the police report. If you are being tended to by medical professionals, be sure to speak with the police before being transported via ambulance. Even if you don’t think you have any injuries, it is best to see your doctor just to make sure. It is possible for injuries, especially internal ones, to show up days after the car accident. Also, wounds that may seem minor at the time of the accident can have more serious consequences over time. Now that you have your police report and medical evaluation, you need to call the driver’s car insurance company and start a claim. Even though you have the details of both the police and medical reports you do not need to share them with the insurance company. They will try to get you to divulge a lot of detail. Avoid doing this until you take the next step. This may be the most important step other than making sure you are ok physically. 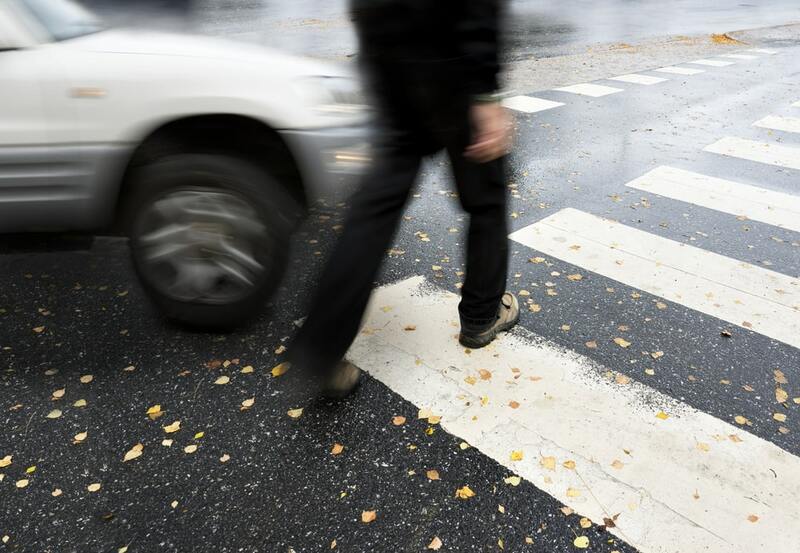 The laws governing incidents involving pedestrians and cars are very complex. You need someone that understands these complexities and is looking out for your best interests. Your personal injury lawyer can handle all negotiations with the insurance companies so you don’t have to.